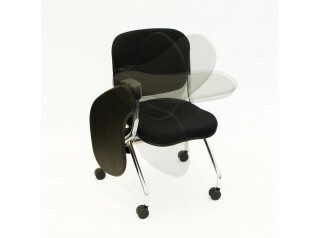 Sharko Office Swivel Chair by Martin Ballendat. An innovative new category of office seating, Sharko Swivel Chair offers a convenient integrated storage compartment and optional 360 degree rotating writing pads. This is a comfortable, functional seating solution that can be used at the workplace, at home, or anywhere work needs to be done. 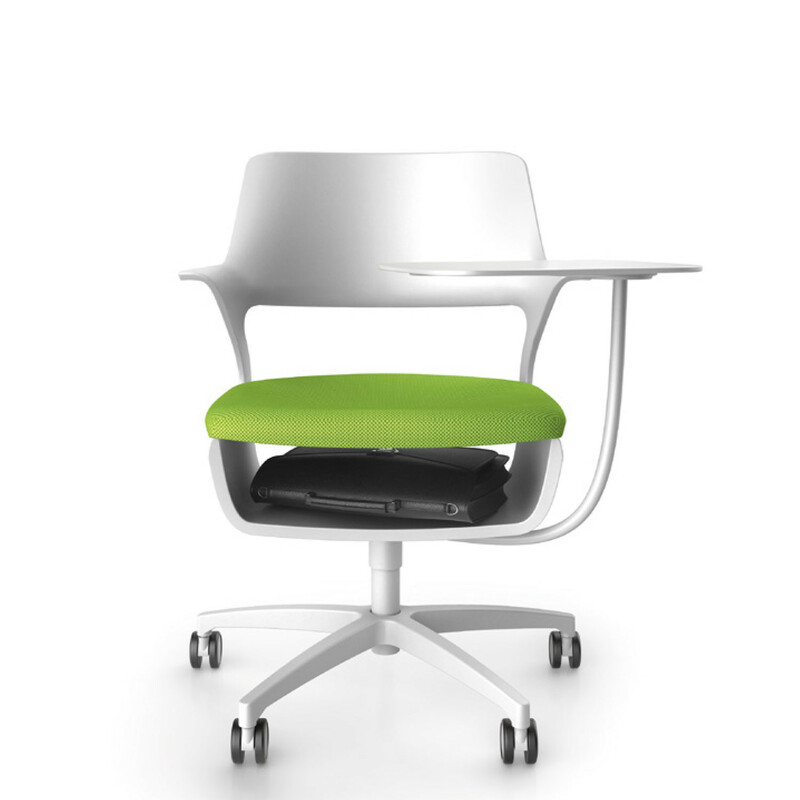 Sharko is an all-purpose chair that can be used for a wide variety of applications: seminars, workshops, conferences and meetings. 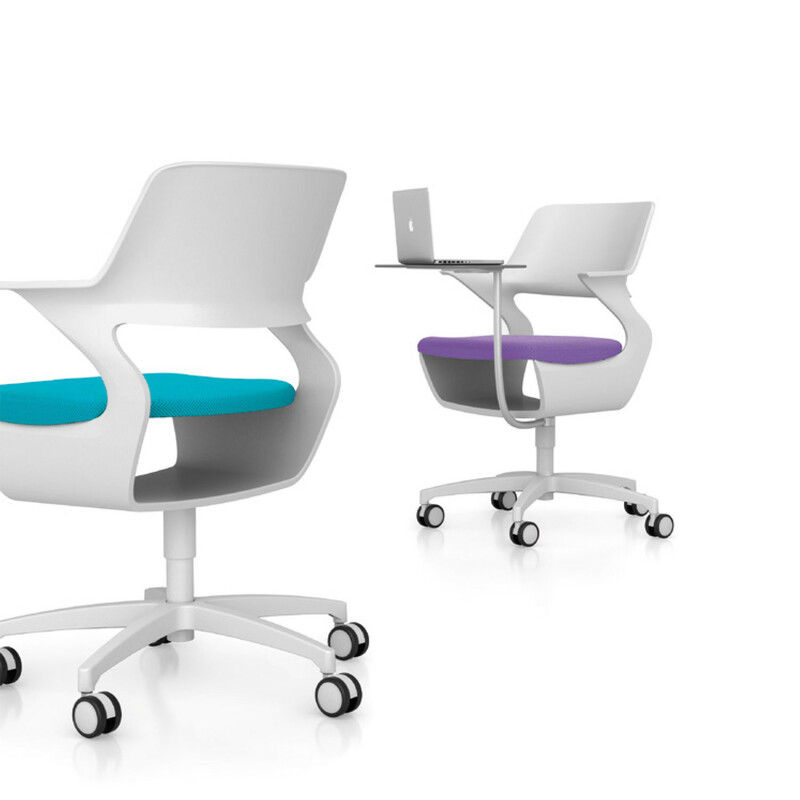 A mobile, comfortable and creative concept of a chair as a miniature workplace, complete with a work surface and storage space. The writing pad’s size makes it ideal for work on laptops and tablets and rotates 360 degrees around the chair; it is therefore optimal for use by right- and left-handed people. The special twin axle mechanism enables the user to not only swivel the writing pad, but also to draw it closer to his/her body. When not needed the tablet can be conveniently stowed away behind the chair. 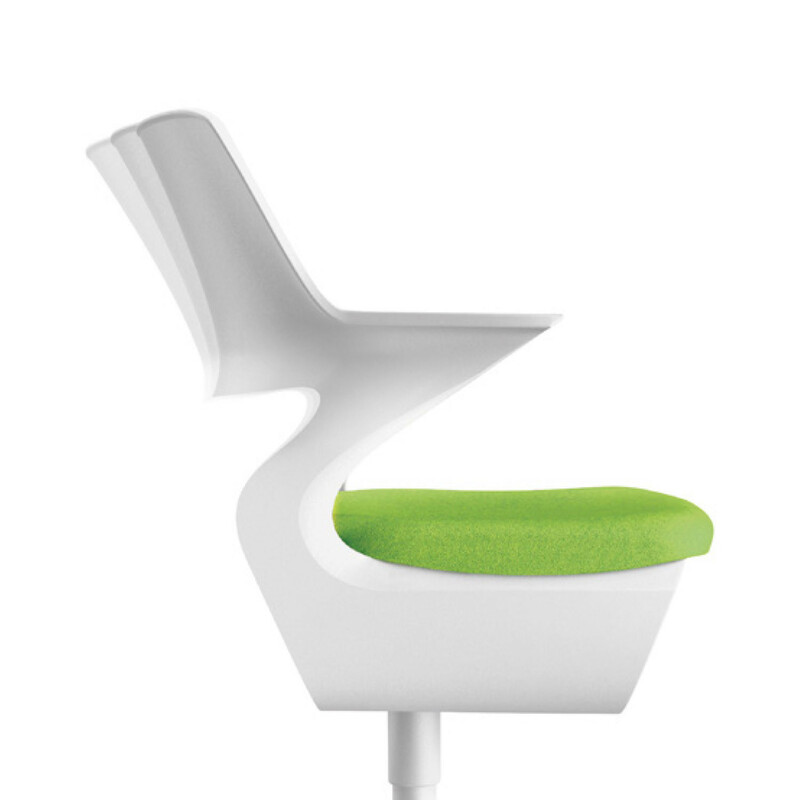 The chair's shell is made of foamed PU (Polyurethane). The inner structure is specially designed so that the backrest supports the user’s weight comfortably, and the semi-rigid PU surface gives the impression of warmth and is pleasant to touch. 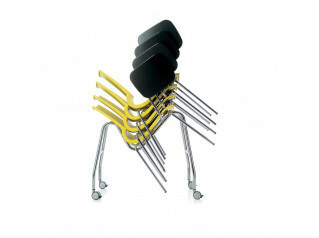 Sharko Training Chair is available in four colours and two types of bases (with either castors or glides). 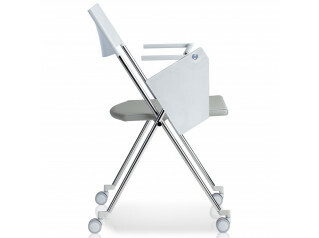 The base comes in polished aluminium, black or white and the writing pad is available as an additional option. 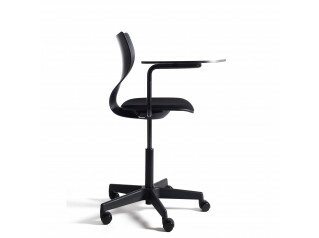 Sharko Office Swivel Chair can optionally be equipped with height adjustment. You are requesting a price for the "Sharko Office Swivel Chair"
To create a new project and add "Sharko Office Swivel Chair" to it please click the button below. 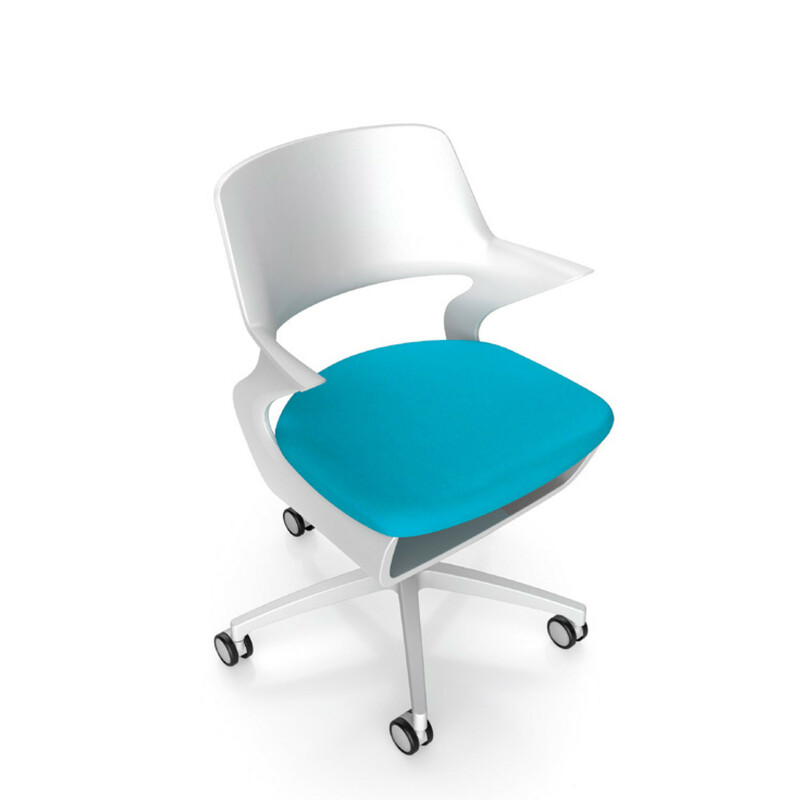 To add "Sharko Office Swivel Chair" to an existing project please select below.